The Benjamin Chandler House is a late federal colonial in Saco, ME. 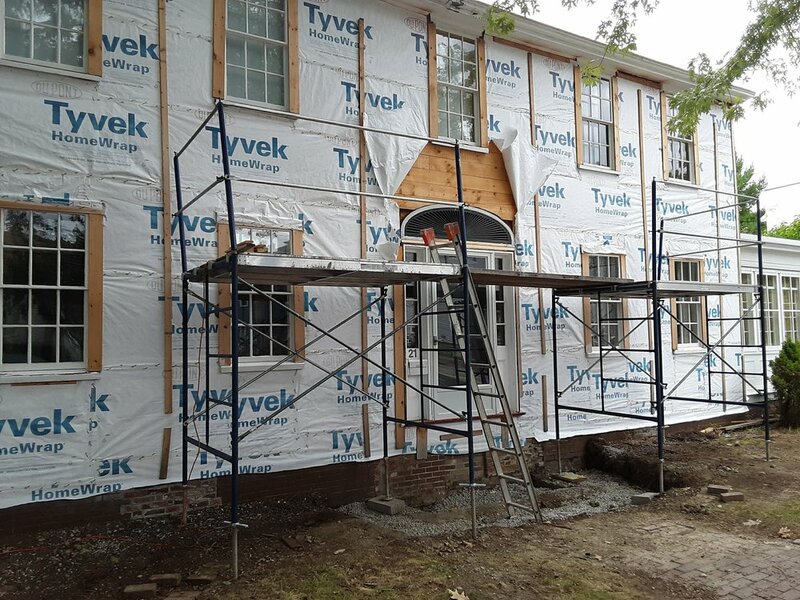 We were hired to restore the front facade. Structural, insulation and re-sheathing was done by a previous contractor so we had a black wall with door and window frames to work with. We used samples that were saved to recreate patterns and mouldings from. 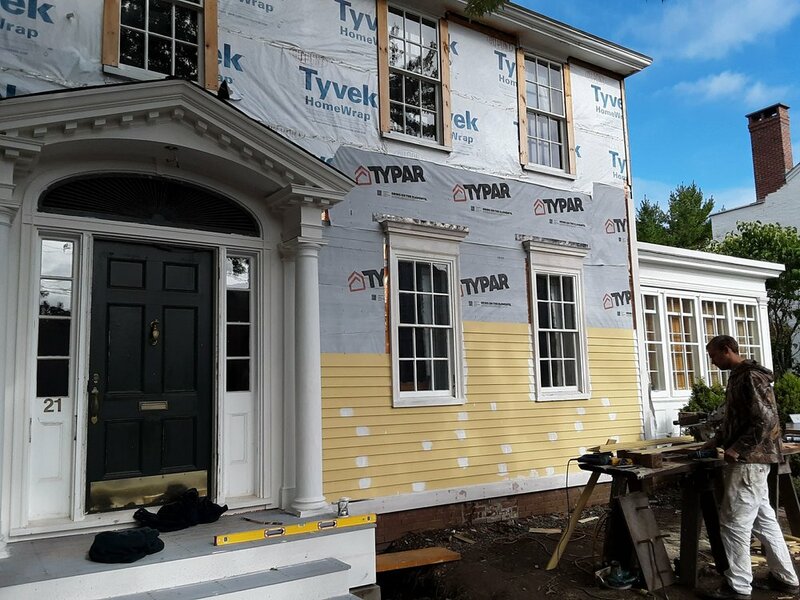 This includes the front entry, window trim, corner boards, water tables and clapboards.